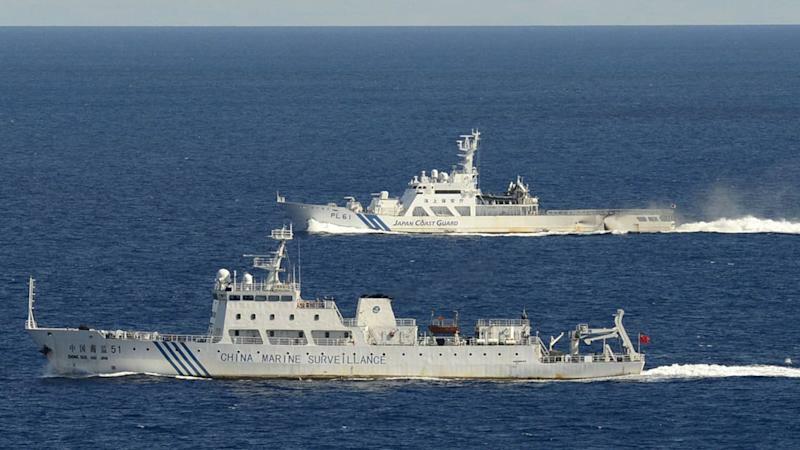 TOKYO (AP) — Chinese and Japanese government ships exchanged warnings Friday in waters near disputed islands in the East China Sea, while Tokyo called on Beijing to protect its citizens amid anti-Japan protests and reported assaults in China. Tensions between the Asian giants have flared anew after the Japanese government bought the islands from their private Japanese owners this week. The uninhabited islands, claimed by both countries as well as Taiwan, have become a rallying point for nationalists on both sides. 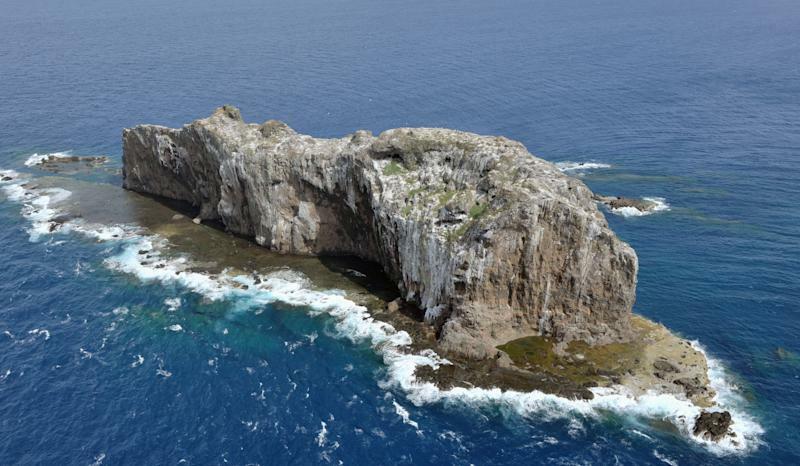 In response to Japan's purchase, China on Friday sent six surveillance ships into what Japan says are its territorial waters around the islands, called Senkaku by Japan and Diaoyu by China. 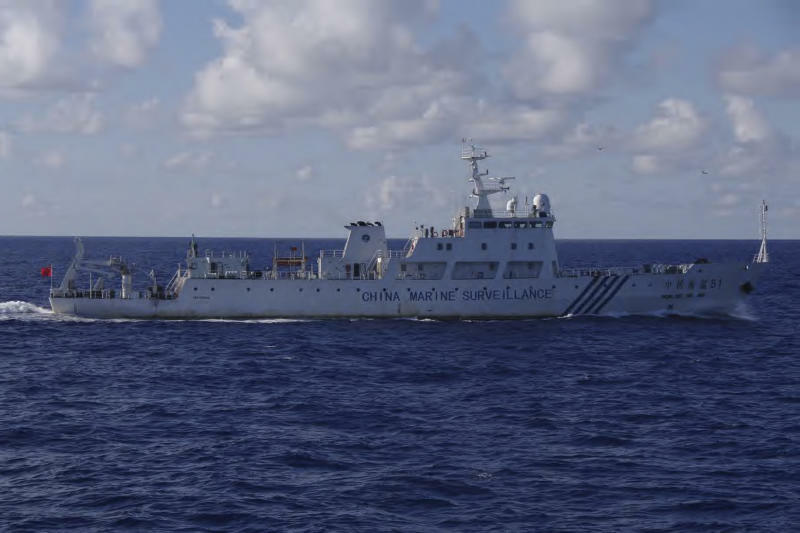 Japanese coast guard ships radioed warnings to the Chinese vessels and two or three moved out of the territorial waters, said Yasuhiko Oku, a Japanese coast guard official. Japan controls the islands, which are surrounded by rich fishing grounds and are near key shipping lanes, but China doesn't recognize those claims. State-controlled China Central Television repeatedly played footage of a Chinese Marine Surveillance officer aboard one of the ships radioing the Japanese vessels to demand they leave. "The actions of your ships violate China's sovereignty and rights," the officer was shown saying. "Any unilateral act from your side regarding the Diaoyu islands and its affiliated islands is illegal and invalid. Please stop any infringing acts. Otherwise, your side will bear the consequences caused by your actions." With a typhoon approaching the area, by Friday afternoon all six Chinese ships had left the 24-mile zone around the islands, said Yoshiyuki Terakado, another Japanese Coast Guard official. Emotions have been running high since April, when Tokyo's nationalistic governor, Shintaro Ishihara, proposed buying and developing the islands so that they wouldn't fall into Chinese hands. Activists from both sides landed on the islands in August. To block Ishihara's plan, which would have infuriated China, Prime Minister Yoshihiko Noda's government was left with little choice but to buy the islands. The government doesn't plan to develop them, but the move has still angered China, and Beijing has warned of "serious consequences." Anti-Japanese protests have since been held in various Chinese cities, and state media has published calls for a boycott of Japanese goods. The dispute has stirred up emotional memories of Japan's brutal occupation that ended only at the close of World War II. While Japan routinely apologizes for its wartime actions, its politicians often anger China by visiting the Yasukuni Shrine, a memorial to Japan's war dead, including top war criminals. The Japanese Consulate in Shanghai reported on its website that several Japanese have been assaulted or harassed in the past few weeks. It said Chinese have thrown water bottles and hurled insults at Japanese walking on the street. One person was hit with soda by a Chinese person who shouted "Japanese!" A consular official said more than four people had been hurt in anti-Japanese attacks in the Shanghai area. Japanese Chief Cabinet Secretary Osamu Fujimura called on Beijing to take steps to assure the safety of Japanese tourists and residents in China. Chinese Foreign Ministry spokesman Hong Lei said while Chinese were upset with "violations of Chinese sovereignty," they had no problem with "Japanese people in general." He urged Chinese to "express demands legally and reasonably." While visiting Australia, Japanese Foreign Minister Koichiro Gemba told reporters that "we should never let the situation escalate," and expressed "strong hopes for the Chinese government to respond to the situation in an appropriate and also a calm manner." Officials both in Tokyo and Beijing maintained that they had the right to send ships to the islands. China's foreign ministry said its decision to send its ships was part of legal "law enforcement and patrol activities aimed to demonstrate China's jurisdiction over the Diaoyu Islands." Fujimura called the fleet's deployment an unprecedented violation of Japanese territory and "extremely regrettable." Japan summoned China's ambassador to lodge a protest. Chinese Assistant Foreign Minister Le Yucheng said Japanese authorities have let the situation escalate by appeasing and giving free rein to 'trouble-making right-wing forces' at home. Le catalogued incidents earlier this year that he said were provocations, including a fishing trip to waters around the islands by Japanese lawmakers and a visit to the islands by right-wing activists to mourn war dead. "Japan's 'purchase of the islands' is by no means an isolated event," Le told more than a dozen Chinese scholars at a symposium on the history of the islands held in a Beijing government compound. "It is a result of the changing political climate in Japan. There is a sinister tendency inside Japan that is taking Japan and China-Japan relations down an extremely dangerous road." Associated Press Writers Alexa Olesen and Gillian Wong in Beijing and Mari Yamaguchi and Elaine Kurtenbach in Tokyo contributed to this report.